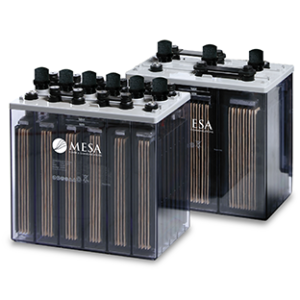 The Mesa LSe is a range of lead selenium flat plate vented lead-acid batteries featuring 20-year design life plates made of .25” thick, lead selenium alloy. 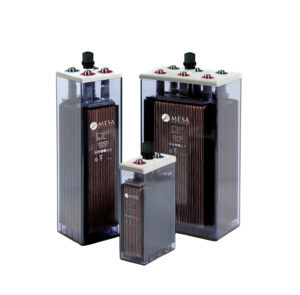 It is ideal for use in switchgear applications characterized by switching DC Loads and high rate demands. Low maintenance, reduced footprint, and safety by design are essential features of the LSe. No other flat plate, lead selenium battery has thicker plates or longer lasting cells. 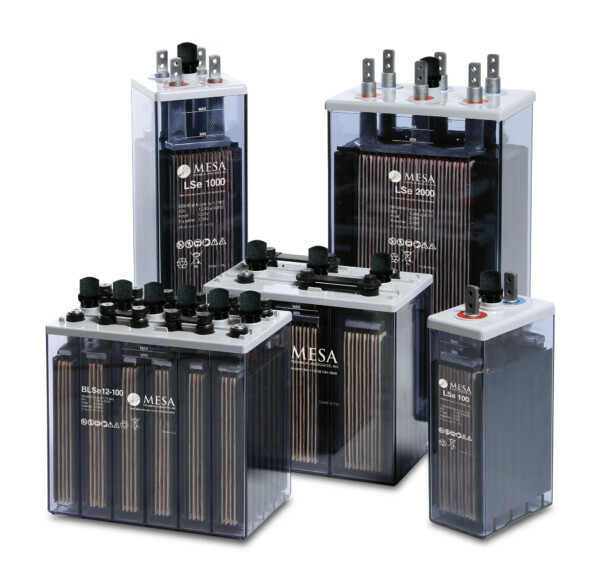 The LSe lead selenium is a deep cycle battery and is available in cell options (LSe) ranging from 100 amp hours to 1800 amp hours and multi-cell blocks (B-LSe) available in 6-100, 6-150, 6-200, 6-250, and 6-300 amp hour configurations. Optional Alcad LSe square post with dual connectors.